Dina who represented Portugal at the Eurovision Song Contest 1992 has passed away today at the age of 62. 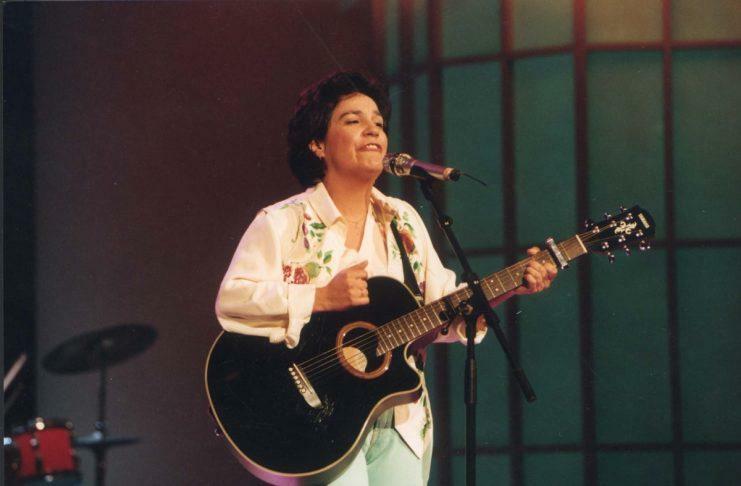 Dina who represented Portugal with the song “Amor de Água Fresca” at Eurovision 1992, has passed away at the age of 62. The singer had been struggling with pulmonary fibrosis since 2006 and had stepped away from performing in the past few years. Dina who was born in Carregal do Sal on June 18, 1956 first came to the public’s attention in 1980 when she participated in Festival RTP da Canção. She then went on to the win the Portuguese selection 12 years later with a song written by Rosa Lobato Faria. At the 1992 contest in Malmo, Sweden, Dina finished seventeenth out of twenty three acts. She scored 26 points included 8 points from both Israel and Germany. Across the course of her career she released studo albums, the last being Da cor da vida in 2008. And in 2009 she marked 30 years in the music industry with a concert at the Jardim de Inverno do Teatro São Luiz in Lisbon. Portugal debuted in the Eurovision Song Contest in 1964 represented by Antonio Calvario, the country finished last scoring nul points. Prior to 2016, the best result of Portugal was 6th place which came in 1996 when Lucia Moniz performed in Oslo. She scored 92 points, receiving the 12 points from both Norway and Cyprus. Since their debut, Portugal have missed a total of five contests. In 2017, Portugal produced a spectacular win when Salvador Sobral took home the crystal microphone with his song “Amar Pelos Dois.” The 2018 contest was held in Lisbon, Portugal for the first time.